4. The Mathile Institute, along with many other global organizations, are impacting each of these problems through nutritional research. The Mathile Institute for the Advancement of Human Nutrition® was founded in 2006 by philanthropic entrepreneur Clayton L. Mathile. Leveraging his business acumen, and inspired by the work of Nobel Peace Prize Laureate Dr. Norman Borlaug, Mr. Mathile focused his attention on finding a way to permanently eradicate world hunger and malnutrition. 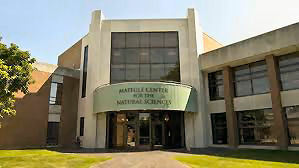 From this philosophy and passion, The Mathile Institute became a reality. 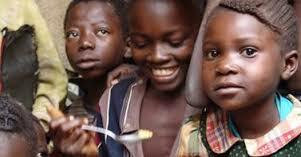 The Mathile Institute takes a unique approach to the enduring challenges of world hunger and malnutrition. They employ a strong emphasis on culturally appropriate, evidence-based interventions; innovative applied research to advance nutritional truths; and capacity-building through productive collaboration. Using this combined strategy, they are committed to uncovering nutrition security gaps and challenges, and leveraging innovative programs, services and products to diligently, rapidly advance the nutritional health of the world’s children. As the Vice President for Research and Nutrition, Dr. Reinhart manages projects all over the world. There are a few countries in Central and South America that experience nutritional issue but the bulk of the problems are in Africa, India, Vietnam and the island countries south of India. Many of the people in these countries suffer from a shortage of iodine, iron, zinc and other micronutrients. 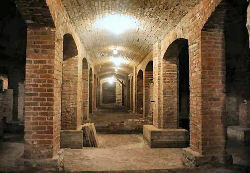 The tour of the catacombs is not just a walking tour of the space under the City Market, but also a history lesson of this portion of Indianapolis. Technically a catacomb is a human-made subterranean space used for religious practice and usually a place of burial for religious followers. In spite of the mild abuse of the word, this space is officially named a catacomb. Getting practical for a minute, the 20,000-square-foot space is the former basement of Tomlinson Hall, a four-story grand building located at the corner of Delaware and Market Streets. Tomlinson Hall’s footprint is now the open area located in the southwest portion of the City Market complex. The Hall was completed in 1886. It was an ornate four-story building with an auditorium which could seat 3500 people. 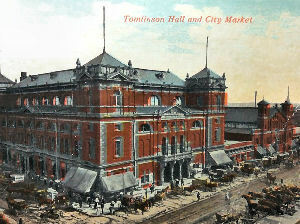 During that same year the building we know today as the City Market was opened for business and is still functioning. These two buildings added a final touch to a street market in the area that dates to 1821. Tomlinson Hall was a multipurpose building that used the basement for storing all manner of things, especially items adverse to summer’s heat. Over the years, very little was done to make this space more appealing. In 1958 Tomlinson Hall was destroyed by fire and after some debate the decision was made to remove the debris and leave the space open. During a period of twenty years, the catacombs were forgotten, as openings to the area were covered and the space had no practical value. Once the area was rediscovered and the space “spiffed” up, it became a place to show the public examples of our past history. The actual tour took about twenty minutes. 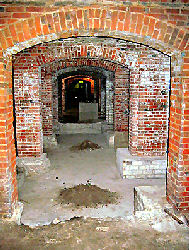 The area demonstrated the mastery of the skills of masons. 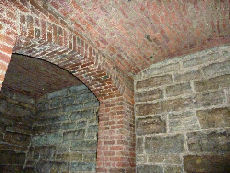 There were many brick arches holding up vaulted brick ceilings. It was interesting to look down one of the long corridors and visually enjoy the many arches as they appear to diminish in size due to the long distances. In fact, one of these corridors was used as a pistol range for the Indianapolis Police Department whose headquarters were across the street in the City-County building. The preponderance of the columns was constructed of brick and were approximately 18” by 18.” Every now and then there were large (6’ by 6’) limestone columns that supported key locations of Tomlinson Hall. The floor of the space was entirely dirt. As was to be expected, the air was moist and mildly pungent with only a few water leaks from the space above. John Thieme received his training as an entomologist at Purdue University. He spent 31 years working in several different divisions and roles at Syngenta Crop Protection in various parts of the country specializing in insect and weed control. 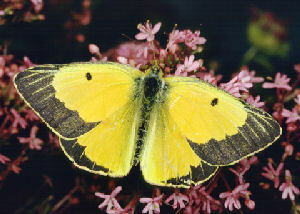 In retirement, he now focuses his attention on "good insects," especially butterflies. As a way of staying physically active, he makes roadside observations of butterflies while riding his 27-speed recumbent tricycle on a 30-mile round trip route from Zionsville to Lebanon. He travelled more than 8,600 miles on this path from 2005 to 2013 while studying central Indiana butterflies. Starting life as an egg, butterflies progress to become a larva, then they transform to a pupa (chrysalis), and finally they emerge as the beautiful butterfly. Interestingly, they taste with their feet, and smell with their antennae. Of 10 native Indiana species considered threatened or endangered, John has not seen any of them during his rides, or for that matter, during his more than 50 years of butterfly observations within the state. Of 30 well known species in Indiana, John's personal observations in the past 50 years are that 60% of these have become less common, 30% are similar in occurrence, and only 10% are more common. 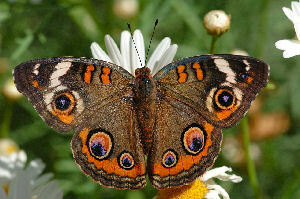 In 2012, fully 91% of the butterfly counts by him were accounted for by only 3 species (the Buckeye, Alfalfa, and Cabbage White Butterflies) and 97% were accounted for by only 5 species. The remaining sixteen species listed as observed in this study, only made up a meager 2.8% of his counts. This leads to the question raised in the title: "Where are all the butterflies?" 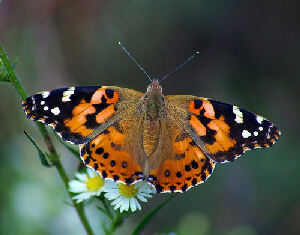 While a number of factors are considered threats to butterflies, habitat loss, extreme weather, and a sharp decline in native larval host plants and an increase in non-native plants are believed the most destructive factors. It is known that butterflies can be very specific and selective about the types of plants and trees which support them, and over time changes in the host environment (e.g., introduction of non-native trees and plants in Indiana) are causing reductions in butterfly populations. Extreme weather is well known to have negative impact on plant populations, but it is less well known that plant and butterfly populations are closely linked, thus explaining some of the adverse effects of weather on butterflies. Some of our most successful species of butterflies include some species that cannot survive Indiana winters but migrate north from southern states each spring. Many of the rare Indiana species of butterflies are concentrated in niche environments that are favorable to their life cycle (native forests, meadows, and wetlands, etc). This explains why we see so few of them in roadside and backyard habitats common throughout Indiana. 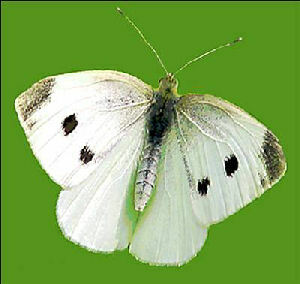 We need to be concerned about butterfly populations because they are indicators of general biodiversity. What can we do to help improve the future of butterflies? John provided a list of ways to help including planting specific native larval host plants and good nectar bearing plants, and a more judicious use of insecticides, herbicides, tillage, and vegetative removal. "Butterfly gardens" were especially encouraged. John clearly enjoyed speaking to us about his 3-wheeled investigation of butterflies in central Indiana. Moreover, his lepidopteran passion has had the added benefit of keeping him in excellent shape in retirement. Our world is, as always, in a state of rapid and ever increasing change. These changes include those in the labor markets and wages, the demographic aging of most societies, technological progress, geopolitics, innovation, and response to perceived shortages in natural resources and food. One of the major shifts over the next few years will be in the number of people entering the middle class. By 2020 there will be an additional 1 billion people in the middle class around the globe. a. Our wages are stagnant while the developing world’s wages are rising. which are about to change us from the world’s leading importer of energy to the world’s leading exporter of energy. We should be energy self-sufficient in a few short years. c. We spend much more money than anybody else in the world on research and development. a. E-commerce and the effect of the iPhone and Steve Jobs on the way business is transacted. b. The advance in US energy production. c. 3D printers particularly for industrial production of various items. d. Big Data in engineering, marketing, medicine, weather, traffic flow, deliveries, etc. During the talk there were a number of specific companies and markets mentioned. Thanks to Josette for this most interesting talk and discussion. 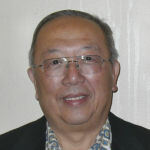 Dr. Chua has been a member of The Scientech Club since 2009. He is very well known by the membership and is highly appreciated. Gonz has now made five presentations to our group, so far. - To conquer the world, we (Japan) must first conquer Asia. - To conquer Asia, we must first conquer China. - To conquer China, we must first conquer Manchuria. The Japanese invasion of China from 1931 to 1941 was without much opposition. It also was indicated that China, later on, was anxiously waiting for the United States to become involved in this conflict. Many existing industries and over fifty universities were moved to safer locations within China. Intellectuals were hunted down and suppressed. Gonz and his family were under the influence of Japanese capture and occupation for five years. Many different strategic battles and outcomes were discussed with specifics about what happened, especially after the United States entered the war. The long-term Burma Road construction and establishment of the Flying Tigers in1941 provided limited amounts of strategic supplies into China, since other major trade routes had been cut off. These efforts and supplies greatly helped improve Chinese morale. Russia became engaged in the final weeks of the war, per an earlier agreement by the Allied forces. It was also shown that there were strategic conflicts between several heads of state and among their high ranking military and political leaderships. These conflicts, on all sides, sometimes resulted in strategic delays, redirections and extreme suffering by many people involved in this conflict that eventually grew into World War II before it ended. Millions of people were killed and many more were injured, maimed and suffered greatly in other ways through these horrid times of war. 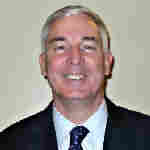 Jim Willson is a Scientech member, graduate of Purdue and received his MBA from Northwestern University. 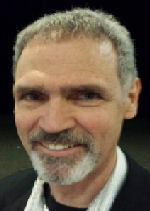 Gary Reed has an engineering degree from Notre Dame and was Director of Facilities for Eastern Illinois University. Jim and Gary worked together on the nation's largest completely renewable energy system using a Honeywell Energy Retrofit designed for and installed on the Eastern Illinois University (EIU) campus. It is a model for demonstrating the feasibility and attractiveness of green energy solutions for large-scale facilities. Performance contracting was one of the keys to the success of the project. By contract, Honeywell guaranteed annual energy cost savings for EIU. Cost savings are projected to be over $2 million in ten years. Other innovations for the campus included hybrid and zero-emissions vehicles, 45% reduced water consumption and use of a campus pond for irrigation. The major component was replacement of the 1920s-era coal-fired boiler with a "biomass" system. Biomass as a fuel is significantly less polluting than coal. However, the new system would require relocation of the power plant to an off-campus site and one mile of piping back to campus through a residential neighborhood. So, the design of the physical plant had to be aesthetically acceptable to the neighborhood as well as to the academic environment of EIU. Various renewable fuels were considered before "gasification" using wood chips was decided upon. The system converts wood chips into carbon monoxide or hydrogen through combustion within a boiler resulting in very little emission. The process is called "pyrolysis," which is chemical decomposition without oxygen. The wood chips are "gasified" at 1350°F. The low emission discharge is through a helix-shaped stack. Primary power is generated through two 40,000 lb./hr. biomass gassifier boilers. They meet 100% of the University's annual steam load. It only took twenty one months from contract approval to operation of the new plant. 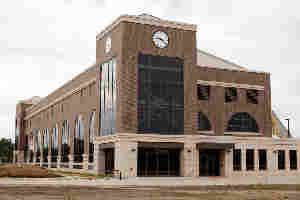 The cost was $55 million, but there will be $25 million in energy savings. In addition to the savings through use of biomass EIU is conserving energy through retrofits like new windows and lighting, sealed buildings and chilled water loop system. The environment outside the University is improved by the use of wood chips rather than coal, because wood chips are a waste product of logging. They are created out of branches that would otherwise be left to decay into methane gas. 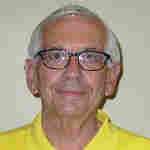 Dr. Jay is Professor of Medicine and Public Health at Indiana University School of Medicine. 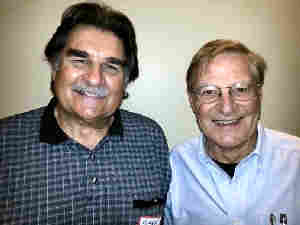 He graduated from Wabash College and from the School of Medicine at IU in 1966. Yellow fever is a disease shrouded in mystery. It goes by about 150 names. Two names are “American Plague” and “Yellow Jack.” In 1647, in Barbados, it was called “Barbados Distemper.” In Medicine physicians use the technique of a differential diagnosis to help narrow the diagnostic possibilities in the face of the patient’s signs and symptoms. Yellow Fever could be confused with viral hepatitis, malaria, dengue, typhoid fever, leptospirosis and Ebola disease. Ships would use a yellow and black flag to announce that they were under quarantine. Yellow Fever dates back 2,500 years. It entered the Americas with the slave trade. In 1637 Massachusetts passed the first quarantine law. Yellow Fever was seen in Central America in 1596, and it was later seen in the major shipping cities in the U.S.
Large outbreaks were seen in Philadelphia in 1793 where 10% of the people died. In Memphis, in 1878, the largest U.S. outbreak occurred; 20% of the population perished. Stubbins Ffirth first mentioned in 1804 that YF was a non-contagious disease. 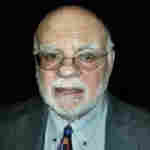 Carlos Finlay was a scientist in Havana who first stated that a mosquito was the carrier of YF. In 1898, the Americas won the Spanish American War and 968 men died in battle, but over 5,000 died of disease, mainly Yellow Fever. The U.S. knew that it needed a plan to conquer YF. They needed a leader, a place, a team of experts, supplies, human volunteers, and Public Health experts. Then they needed to implement the prevention elements. The leaders were Brig. Gen. George Miller Sternberg, who formed the YF commission, and Maj. Walter Reed. The place was Camp Columbia in Havana in 1899. The team consisted of Drs. James Carroll, Aristides Agramonte and Jesse Lazear. They had the supplies and the volunteers. It was necessary to experiment on humans; there is no animal model of YF. The team needed to find out how the disease was transmitted, and how it could be controlled. Cuban physician Carlos Finlay first proposed that the Aedes mosquito carried YF. In 1898-1900 Dr. Henry R. Carter found that the incubation period of YF in the mosquito is 10-17 days. (a critical piece of information. Dr. Walter Reed gave a lecture to the American Public Health Assn. meeting in Indianapolis in 1900 entitled “The Etiology of Yellow Fever.” It was presented at the Athenaeum Club and the effect was electrifying. Reed reported that the disease is not a bacterium and that two patients, exposed to mosquitos who had fed on sick patients, died of YF. Reed and his team found that after the third day of illness, the patient can’t convey the infection to a mosquito; and the mosquito can’t transmit the disease for at least 12 days. A series of experiments ensued. Some volunteers were disabled including Pvt. John R. Kissinger of Indiana and some died, including Dr. Jesse Lazaer and a nurse, Clara Louise Maass. Dr. Reed concluded that of 18 non-immunes inoculated by an infected mosquito, 44.4% developed YF. If they excluded patients who had been bitten less than 12 days, the rate was 80%. Now the public health experts could intervene in infection control. William Gorgas and Maj. Gen. Leonard Wood promoted sanitation reform and YF control in Cuba. By the end of 1901, cases of YF dropped dramatically. Gorgas would go on to work on mosquito control in the Panama Canal. A vaccine was developed in 1937. Yellow Fever is caused by a virus (Flavivirus), and it is spread by the female mosquito, Aedes aegypti. Infection results in fever, body aches and jaundice. The next phase is remission, or it can go to the final phase of organ failure and death. Dr. Walter Reed was the first physician to use Informed Consent. He died in November 1902 of a ruptured appendix at the age of 51. If he had lived, Reed would have won the Nobel Prize. 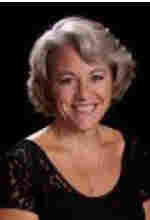 Dr. Debra Burns is a graduate of Glenville State College, Illinois State University, and earned a PhD in Music Education and Music Therapy from the University of Kansas. Dr. Burns was appointed today as the Chair of the Department of Music and Arts Technology at IUPUI. 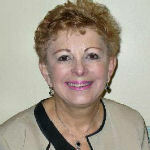 She is an active member of the American Music Therapy Association, serving as chair of the National AMTA Research Committee and a member of the Journal of Music Therapy. Her present research is focused on alleviating symptom distress and improving the quality of life for cancer patients in active treatment. Music Therapists are somewhat rare, with only 5000 registered. Training is available at only 70 universities. Only 4 to 5 of these programs offer a PhD level of education. All music therapists must have at least one or more music abilities. Music Therapy has been used since the 1800's, and was actively used during World War II for the treatment of veterans. Currently it is being used with veterans returning from our present military activities. Presently music therapy is being used in over 30,000 institutions. Hospice centers are a fast growing segment of our medical services. Music Therapy has proven to be very effect in treating these patients. How does music therapy work? It has been shown that it improves the core function of the brain (PET scans show increased activity in multiple areas on both sides of the brain). It provides entertainment, and facilitates emotional connections between people. Likewise it helps with mental focus and attention span. It shares the same neural circuits with speech, and is predictable and structured. 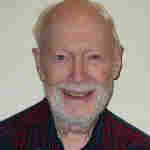 Dr. Burns advised that further information on Music Therapy can be obtained from the American Music Therapy Association. Thanks to Joe Abella for sponsoring this program. 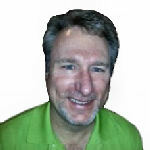 Our presenter, Jon Haskel, is a retired medical salesman for GE Medical. His hobbies include ham radio, jazz pianist, and extensive travel in the Midwest and Central America in the study of the Mesoamerican people and sites. Jon is finishing a paper for publication on this topic. Early civilizations in the Midwest were quite sophisticated. In Cahokia near St Louis, the Mississippian Culture flourished from 600 to 1300 CE (AD) and included a 50-ft building atop a 100-ft mound (Wikipedia). The “city” was bigger than London at that time and took a full day’s canoe trip to encircle. The mounds were built with 7 different layers of dirt; one from Indiana. In Charlestown, IN (just NE of Louisville) the Hopewell Culture thrived from 200 BCE to 500 CE. There were 7-ft high earthen works and an application of hydraulic engineering to siphon water from the Ohio River to store and water crops. Between Chillicothe and Newark, OH the Hopewell civilization build a 50-mi straight and level road. Amazing sophistication. The Adena Culture (800 BCE to 1 CE) also flourished in the Ohio River valley. 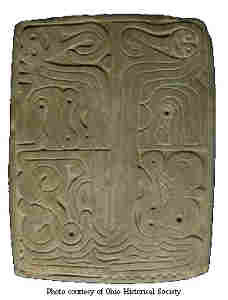 The Adena Wilmington (OH) Tablet is shown here. The tablets are made of sandstone and fit in the palm of your hand. They were artistic pieces depicting how the culture viewed their world. Tablets and seals (for transferring artistic designs in pigments to the skin and clothing) are found throughout the Midwest, down through Central America, and Northern South America. Earliest findings were in Central America (Veracruz) from 2500-900 BCE and had spread to the whole region by 900 BCE. The Olmec (proto-Maya) concepts of ship, stratified society and religion were captured in the tablets. The first depiction of the Quincunx motif and Creation Theme, the Maize God, and divided panels showing opposing imagery were found in tablets. The art was unique (like fingerprints) and served as visual reminder of the ruler's ancestral ties to Creation deities. They served the political purpose of maintaining order and position/control. Common attributes ( visible in the Wilmington tablet) were the Tree of Life (Cosmic Tree) bisecting the tablet and connecting the Upperworld, Middleworld, and the Underworld; smiley faces; and alligator images in the underworld waters among others. The precision of the drawing is especially striking. The Great Lakes represent one of the largest collections of surface water on the earth and are shared by 8 States and 2 Canadian Provinces. But only 1% of the water is renewable. The 99% was deposited by the glaciers of the ice age. The water level in the great lakes has a major economic impact on the surrounding states and the level is subject to natural fluctuations and man-made changes. Over the years, many projects were instituted by different cities and states to divert the water which affected the water level. These projects also brought in controversies and lawsuits. Examples of these projects include: The Chicago River Diversion; The Canadian Damming and River diversion project; Pleasant Prairie, Wisconsin; Lowell, Indiana; and Akron, Ohio. In the 1960's, the 8 Great Lakes Governors and the Canadian premiers created a Great Lakes Charter to control water diversion. It was a non-binding agreement and was followed by the Federal Water Resource Development (WRD) Act in 1986. The act requires unanimous approval by the 8 governors for any water diversion project in the US. Even with the enforcement of this act, several cities around the great lakes tried to bypass the WRD Act and went on with their own diversion projects. 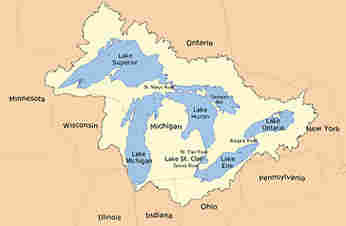 Consequently, the U. S. Congress got into the act and passed a new Great Lakes-St. Lawrence River Basin Water Resource Compact in December 2008 which was signed by President Bush. A test case of the new Compact involving a proposed diversion of lake water at Waukesha, Wisconsin is currently pending. The first recorded forensic science case was in China in 1235 AD when all sickles belonging to rural farmers in a single village were laid together. The one that attracted flies was determined to be the one that had been used to commit a bloody crime. Forensic science is not “crime scene investigation” but rather the application of science to the criminal and civil justice system. Investigators are trained in various sciences such as forensic biology, which include DNA, blood and body fluids as well as forensic chemistry for examination of drugs and other chemicals. Other areas of forensic science include pattern evidence such as fingerprints, fire arms analysis, document (handwriting) analysis, shoe prints, tire tracks and, of course, blood splatter. Forensic medicine utilizes pathology, dentistry for identification of skeletal remains, anthropology and entomology. The main duties of a forensic scientist are to analyze evidence and to testify in court. Dr. Siegel mentioned that the average juror has an eighth grade science education. Other possible duties of the forensic scientist are to assist crime scene investigations in evidence preservation, provide continuing education for police and to help with proposed legislation. Among famous criminal acts that utilized these services were the Oklahoma City bombing in 1995, where it was determined that many pounds of fertilizer soaked with fuel oil, a rented truck and a remote detonator were used. Another is the first bombing of the World Trade Center in 1993 where 400 pounds of fertilizer, nitroglycerine, 3 tanks of compressed hydrogen gas and a 20-minute fuse were used. Forensic science was able to determine these things by carefully examining the rubble over a lengthy period of time. A film was shown of an investigation of a much less well known product liability case that centered on the flammability of a hair product. These types of cases also fall under the forensic science jurisdiction. Dr. Siegel’s talk was enjoyable and informative. 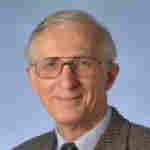 Our speaker today was James C. Conwell, PhD, ED. He spoke about the future of engineering and engineering education. Dr. Conwell is well qualified to speak on this subject; he has had a striking career in engineering both in industry and education. Rose-Hulman is a small private school in Terre Haute with around 2000 undergraduates and 100 graduate masters degree students. It was founded in 1874 by Chauncey Rose, a railroad entrepreneur. In 1917 the school moved to land donated by the Hulman family and changed the name to Rose-Hulman from Rose Polytechnical Institute. One example of this is a group of four students who presented a "car of the future" to the Valeo invitational challenge which chose 20 entries world-wide with 2 entries from the U.S. Rose-Hulman was one of them. Another example is Tim Balz, a freshman from Plainfield, IN who has founded a not for profit organization to renovate electric wheel chairs. He has been awarded a $50,000 prize for his work. Tim twice failed to qualify for admission before being accepted. There are many other examples of such achievements and the faculty can take pride in leading such progress. The faculty is nationally renowned and has won too many awards to list here and the school continues to pursue its goal of being a global leader in science, engineering, and mathematics.